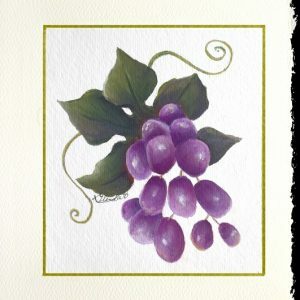 Obtain this beautiful, one-of-a-kind original hand-painted greeting card by artist Glenda Castillo! Painted on 140 lb. watercolor paper with gold trim. 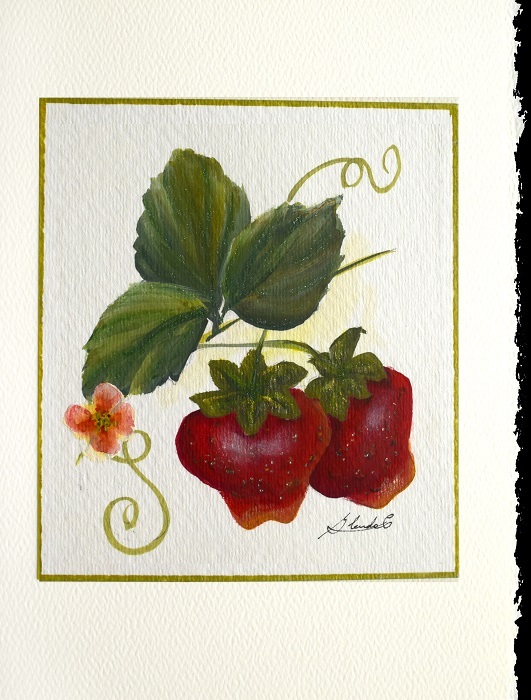 Mounted on a Strathmore watercolor card with a lovely deckled edge and matching envelope. Materials used: acrylics, watercolors, with some shimmer and sparkle. 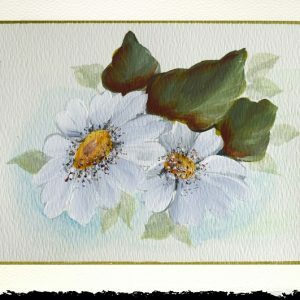 The interior of the card is blank for you to write your own message. 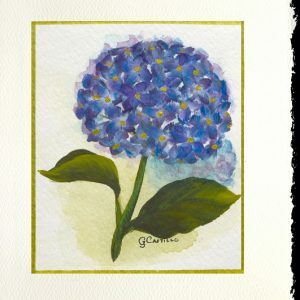 This card also can be framed in a standard picture frame. A wonderful gift for yourself or for a special person in your life!